I really love black and white together, but you have to make sure it doesn't look too waitress-y. 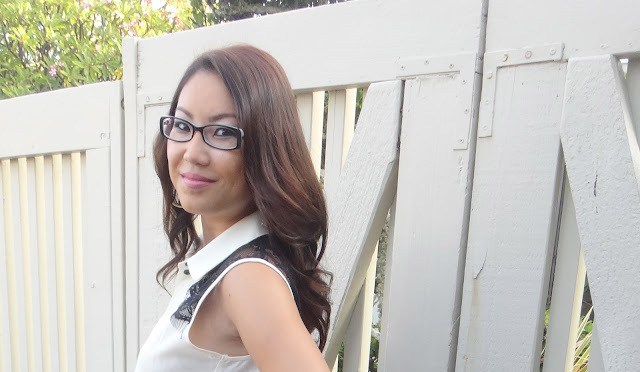 Here I paired my new House of Aria open-front maxi skirt with my Bamboo Sky sleeveless lace button-down. Love the simplicity and classy combo that black and white portrays. Earrings are made by a friend of mine and local designer, Amber of Mango Luxe. Please check out her Etsy! She designs earrings, bracelets, and necklaces all with bright colors and cute nautical charms, not to mention, at the most affordable prices. She is amazing. She also updates her Etsy and Instagram (@mangoluxe) quite often!! I'm always swooning over her newest jewelry pieces! Earrings by local designer, Amber of Mango Luxe! !